I’ve never attended the SIA Snow Show but I think I should someday, for two reasons. Number One: I’m a ski bum. Number Two: uh, see reason number one. 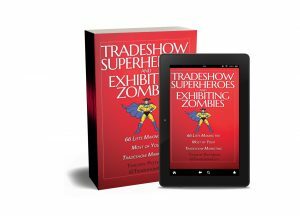 Oh, and that’s right – I’m TradeshowGuy – I do tradeshows. SIA – Snowsports Industries America – holds the annual SIA Snow Show in January in Denver, Colorado, home of some of the greatest skiing in America. Of course. 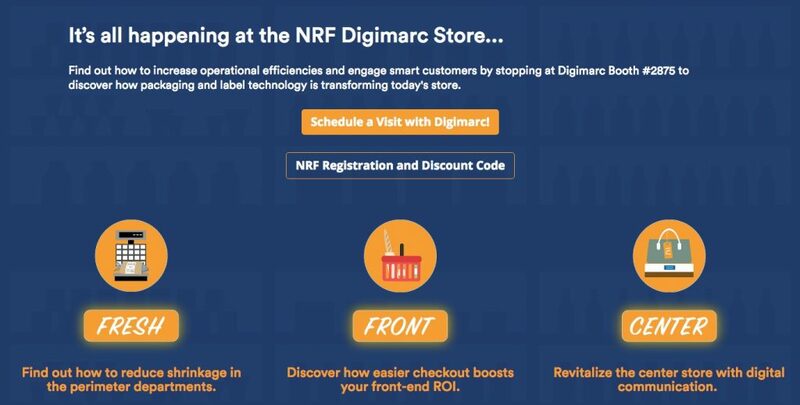 With close to 20,000 attendees, it’s the industry’s largest global annual B2B gathering. It’s a smaller and more narrowly focused show than Outdoor Retailer, but in speaking to SIA Snow Show exhibitors, I gathered that many of them also exhibit or attend Outdoor Retailer. Having not attended the snow show, I thought it might be illuminating to ring up some of the exhibitors at the show and debrief them on how the show went for them. Here’s what I came up with over the past several weeks. Overall, how did the show rate? Most gave it very high marks. 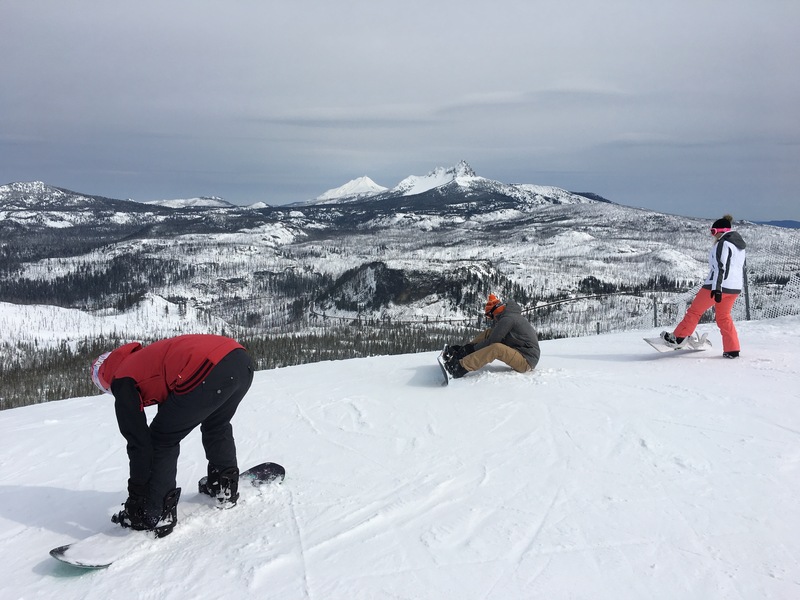 “If it wasn’t a ten, it was a high nine,” said Ashley McGarvey of Meier Skis, who praised the show as bringing in lots of industry people. In spite of the challenges of being a smaller company, she felt the show was a very worthwhile marketing effort. 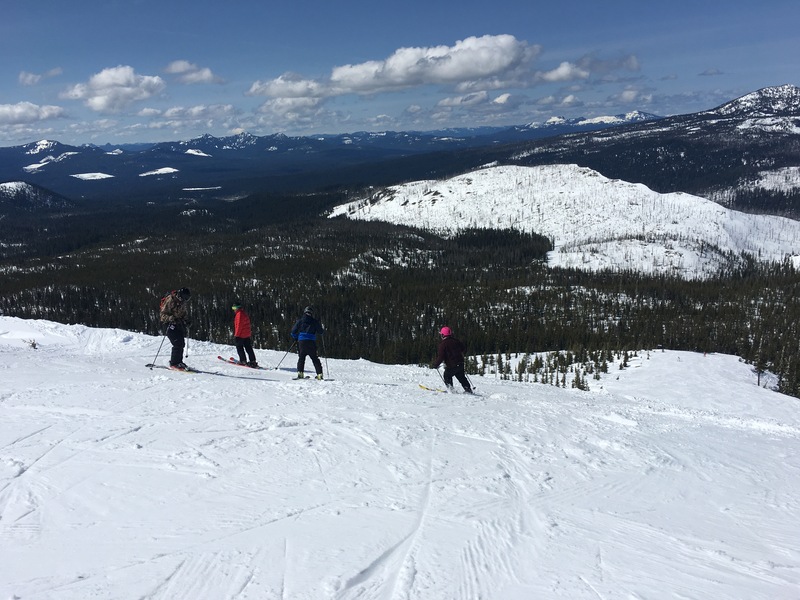 According to SIA Snow Show information, over 96% of the supplier market share for ski, snowboard, AT, backcountry, cross country, snowshoe and winter apparel is there. 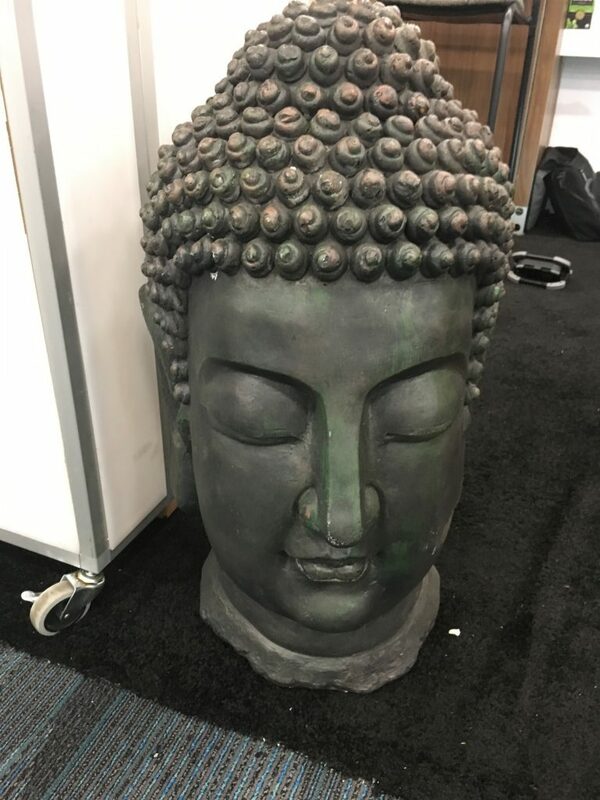 A big challenge that most small exhibitors faced, which is common throughout the industry and not just for the SIA Snow Show, is the high cost of transporting big booths and setting up the exhibits. This also resonated with the small core of Meier Skis team. 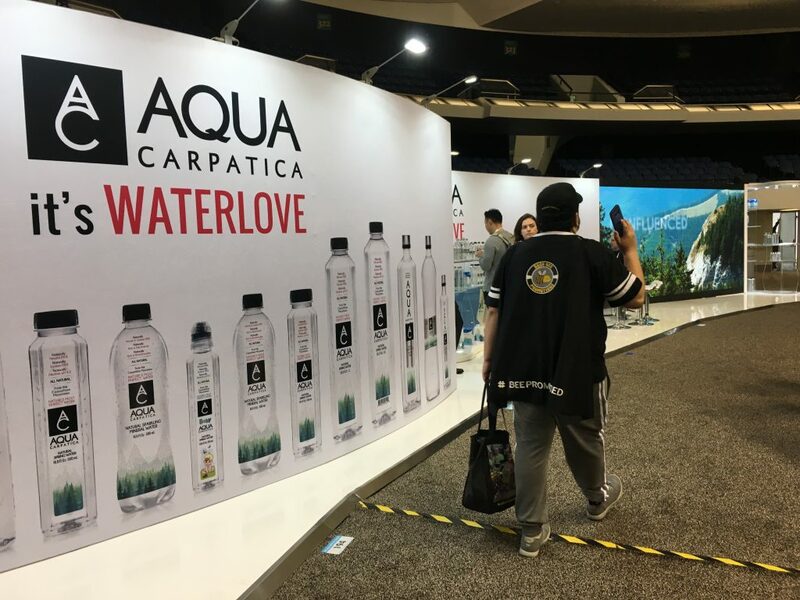 Whit Boucher of Strafe Outerwear agreed with Ashley, saying “It was a nine and a half, definitely,” saying that their 20×40 booth had a lot of traffic for the first three days, and saw a typical drop-off on day four. He speculated that it might be nice to drop the last day so they can show up then and break down the booth. All exhibitors I spoke with felt the show opened doors to markets that they might not have normally had access to. What challenges did they face? 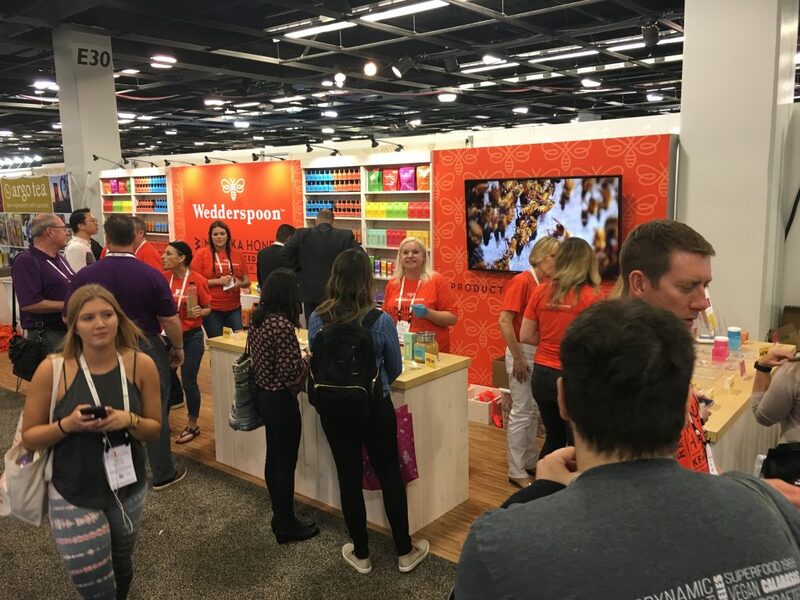 Besides the cost of exhibiting, smaller companies felt understaffed at times. 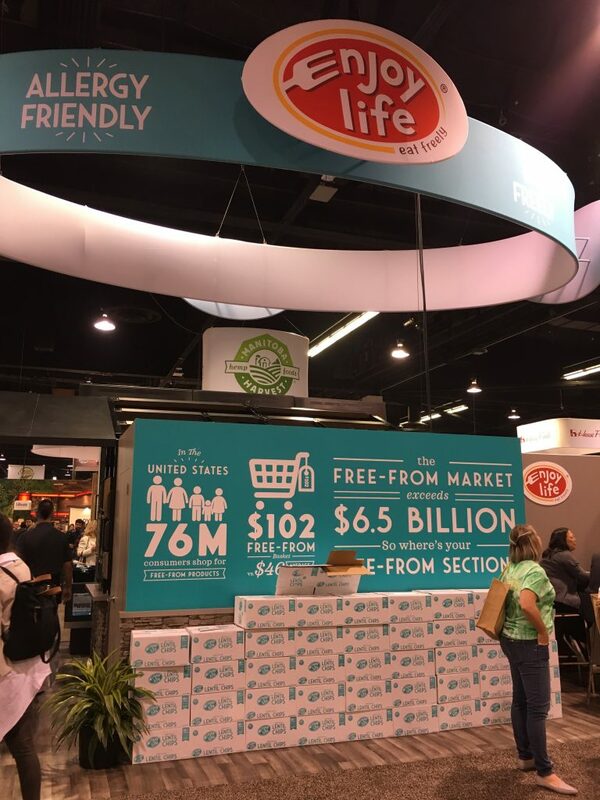 Others felt that their exhibit wasn’t large enough to hold the people and products all at once. One exhibitor, who preferred to remain nameless, felt the show was slipping in the past few years and felt that attendance had dropped “20 – 25%” in the past several years, and that the organizers had let in companies that had little to nothing to do with the core audience of snow sports: make-up companies, food companies and more. As a result, he said their company would be down-sizing next year. But still, he ranked the show as an “8 on a scale of 1-10 for what we need it to do.” He did express fear that the show would be sold or would merge into another show. Erik Leines, CEO of Celtek has a personal mantra regarding tradeshows is “I’ve never met a tradeshow I didn’t like.” Why? 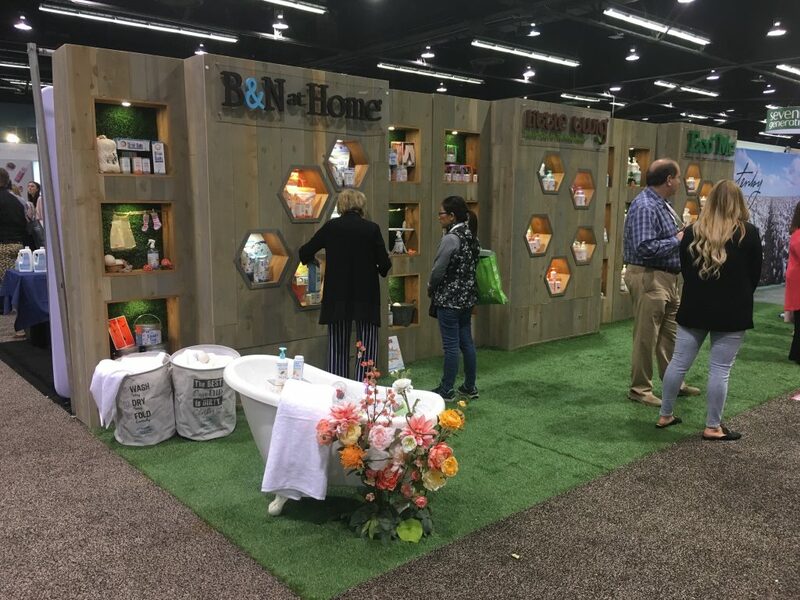 “I’ve literally never done a tradeshow where I walked out and thought it wasn’t worth the money. For anyone doing a show, that’s the way to treat it. We have our own secret sauce on how to do it,” he added, as they always look at ways to attract attention and promote their products. Erik rated the show as “very high” as a marketing tool for their company. 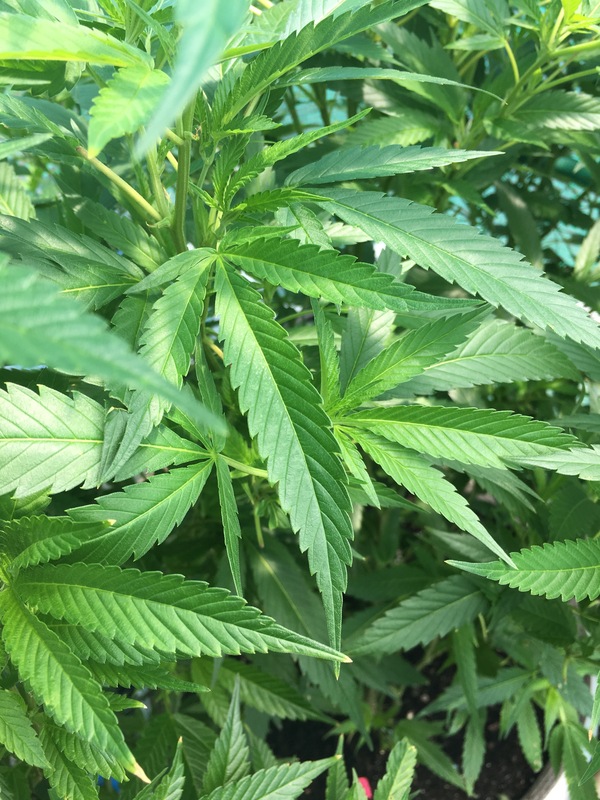 Bottom Line: a mixed bag. 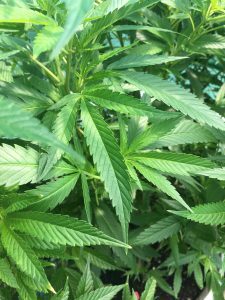 Even though most exhibitors I spoke with gave the show high marks, there was some comments that indicated that the show could be better and in fact might be slipping in some cases. Being such a narrowly focused show doesn’t necessarily give it strength, although it tends to draw the core audience that is needed for success. From all appearances, it is still a successful show, and yes, I’d like to get there and try out some new skis! Thanks to Celtek, Meier Skis, Strafe Outerwear, POW Gloves, SKEA, 4F, Icelantic Skis, Red Feather and a few others that chimed in with comments on and off the record. You never know exactly how new clients will find you. It could be from an introduction at a tradeshow. It might be from someone hearing a webinar that impressed them enough to make a call. It might be from an internet search or a referral. The Meduri Farms exhibit project came about thanks to an online search. 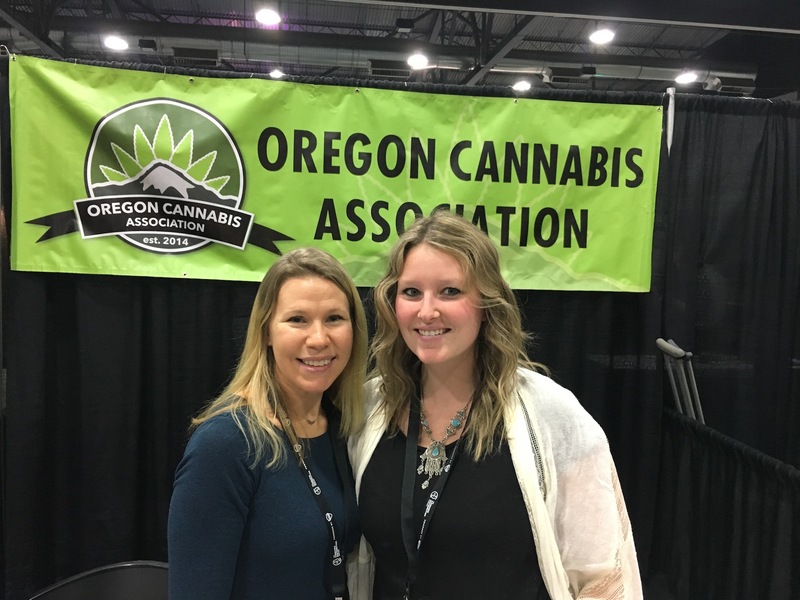 One of our most recent clients, Meduri Farms of Dallas, Oregon, found TradeshowGuy Exhibits through a Google search. Through a few months of back and forth to answer questions, the issuing of a Request for Proposals including a design from scratch, we ended up getting the project. 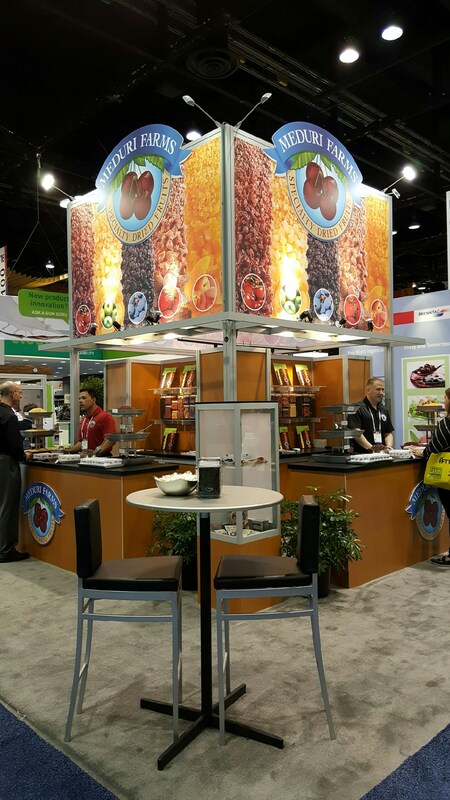 It was awarded in March after a competition of four or five exhibit firms, and kicked off in April, finally making it’s debut in July at the Institute of Food Technologists show in Chicago at McCormick Place. Design was by Greg Garrett Designs. Fabrication by Classic Exhibits. The 20×20 structure was a combination of original design (the tower/alcove unit and product display unit) and rental (counters). The top section of the tower features SEG fabric images up to about a 15′ height which grabs eyeballs from a distance. The 15′ tower is 9′ x 9′ with a meeting space in the bottom. Two sides are taken up by alcoves that display products and offer plenty of storage room. 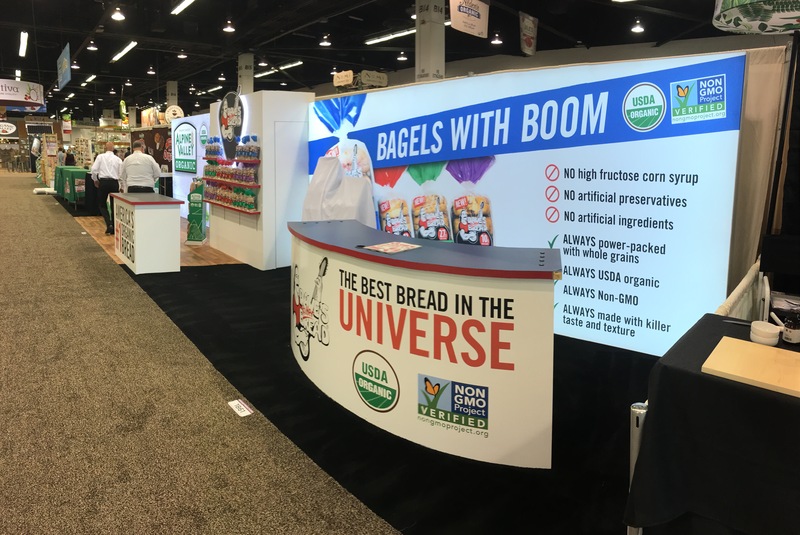 The roughly 10′ counters give more product display area and more storage for the oodles of samples handed out during the show. According to Sara Lotten, Sales & Customer Service for Meduri Farms, management loved the booth and the results it brought (“that’s beautiful!” was the comment passed along as the president first laid eyes on the booth at the show). Meduri Farms got a great number of positive comments about the booth. Comments are great, but results are more impressive. 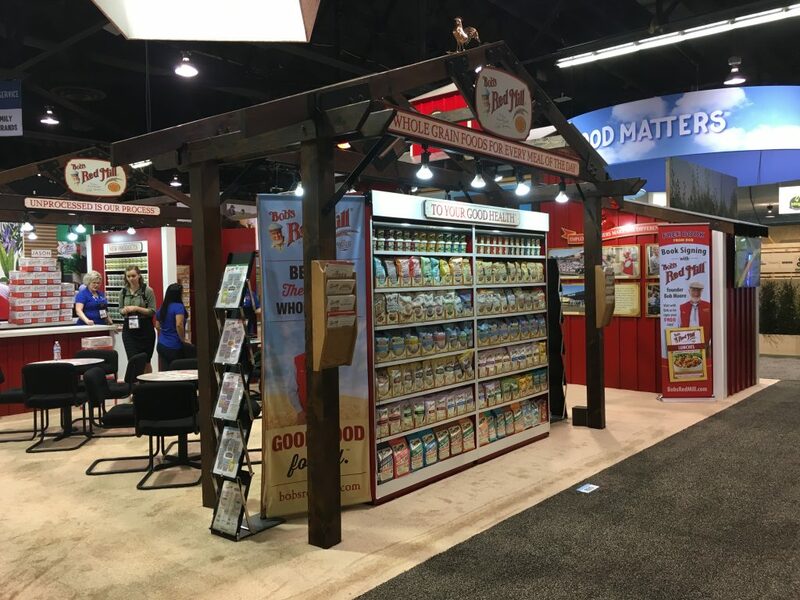 “We got as many leads the first day with the new booth as we did all of last year’s show. We ended up with three times as many leads for the show as last year,” said Lotten. Meduri Farms, Inc., founded in 1984 is a premier supplier of specialty dried fruits to food manufacturers around the world. Check out our Meduri Farms photo gallery here. Find out more about how you can get a new tradeshow booth here. 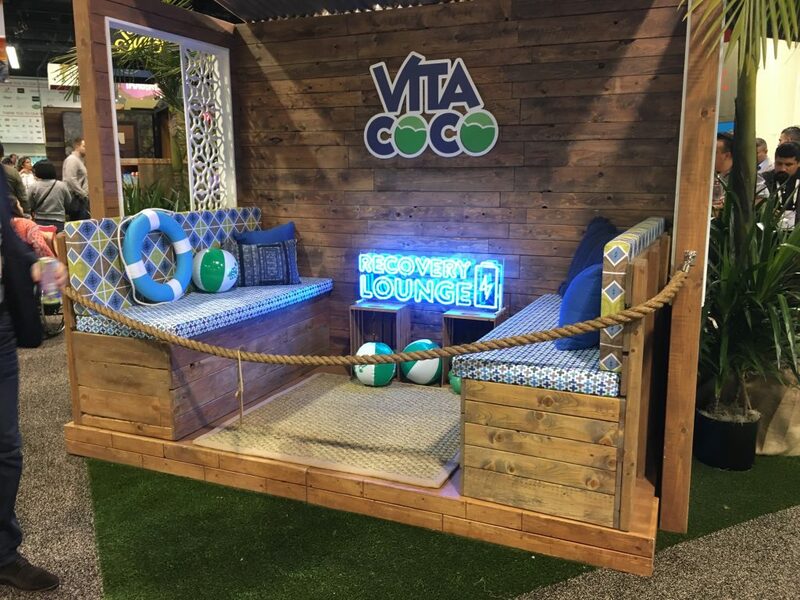 At this year’s ExhibitorLIVE conference and tradeshow in Las Vegas, the annual Portable/Modular Design award were handed out. 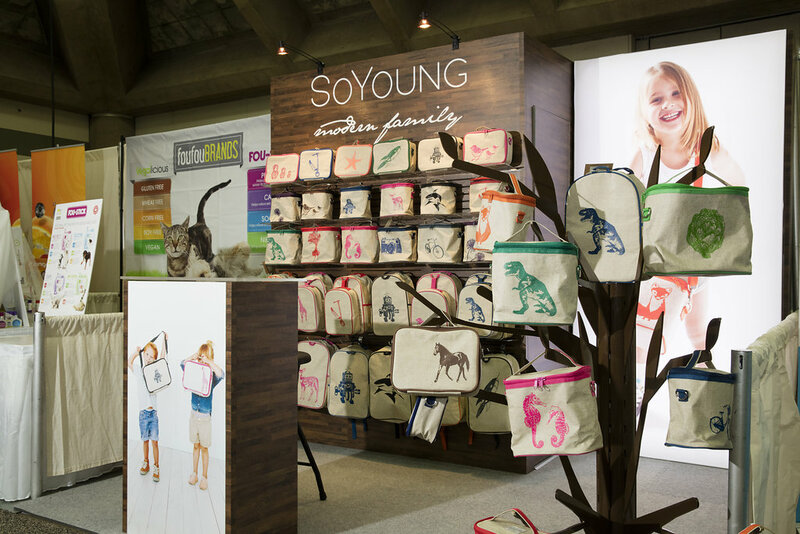 Here at TradeshowGuy Exhibits (formerly) Communication One Exhibits, we snared a design award for last summer’s SoYoung 10×10 portable booth. Keep in mind, this was not the popularity contest where everyone got to vote on their favorite design. No, this was the juried design award. The goal of the competition was to “recognize the vendors and designers responsible for these remarkable exhibits, while also spotlight what’s possible in this realm.” It was the third annual version of this competition. While it appears that all of the awards have yet to be posted online, you’re welcome to review winners of the first and second years. 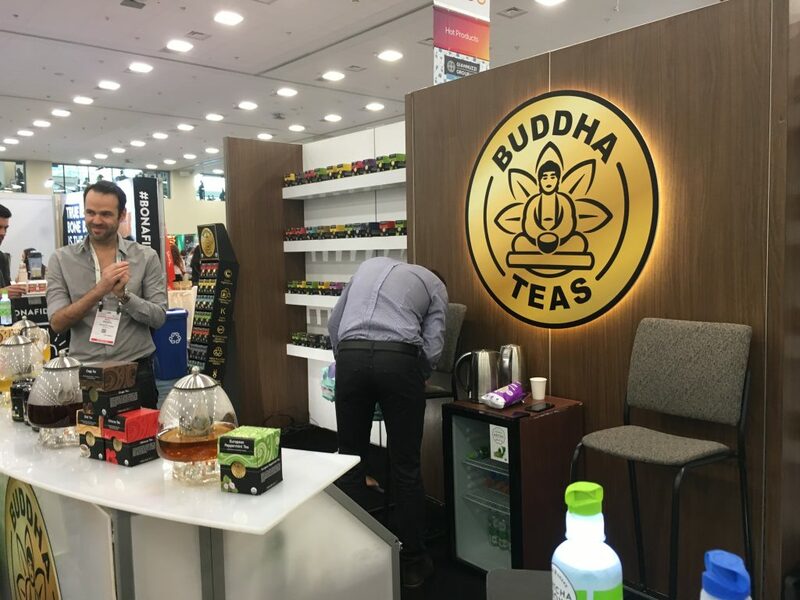 When we were contacted by SoYoung last summer, owner Catherine Choi indicated that they were looking to upgrade their current booth, which was a bit of a mishmash of hanging shelves and display units which didn’t work as well as they liked. 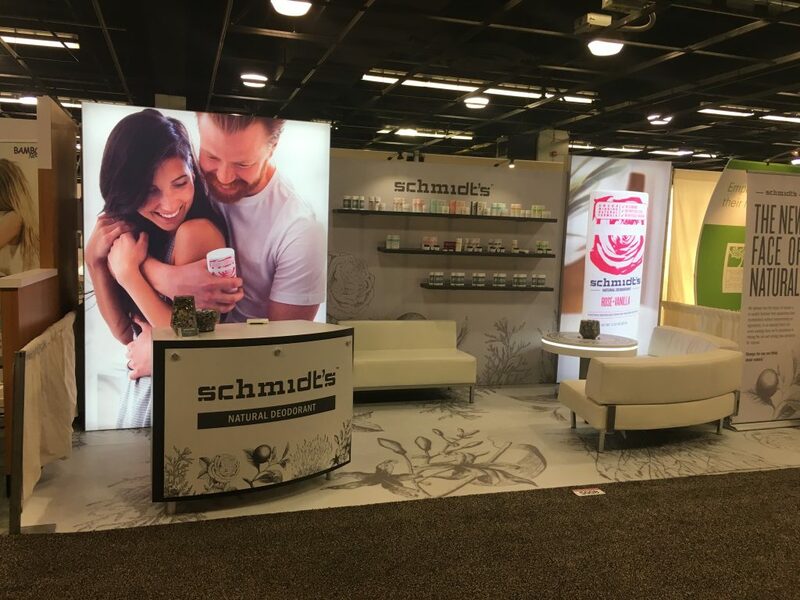 Working with Classic Exhibits and designer Katina Rigall, we created an attractive and functional booth with a large backlit graphic, product display shelves and a unique aluminum CNC-cut display tree (which is what we think knocked it out of the park and got the judges’ attention). 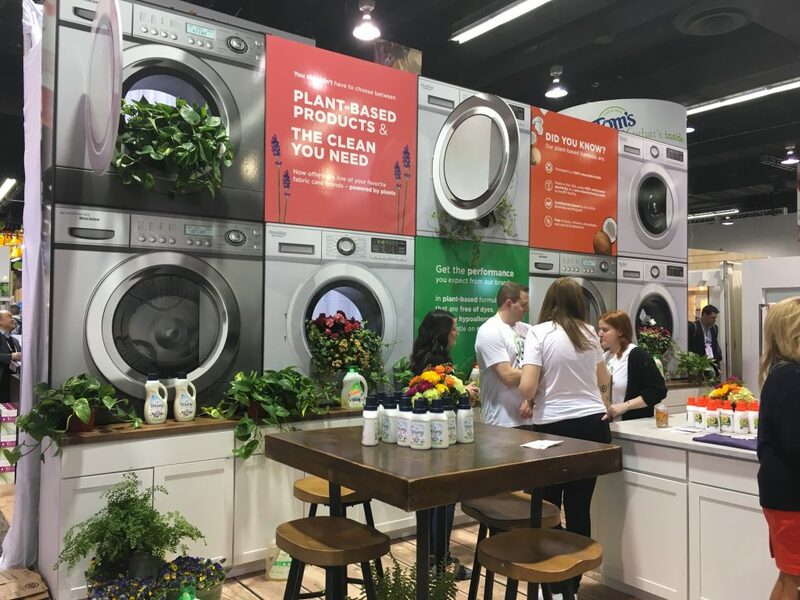 The booth made its debut at Expo East last fall in Baltimore and will continue its work at Expo West in Anaheim this winter and beyond. 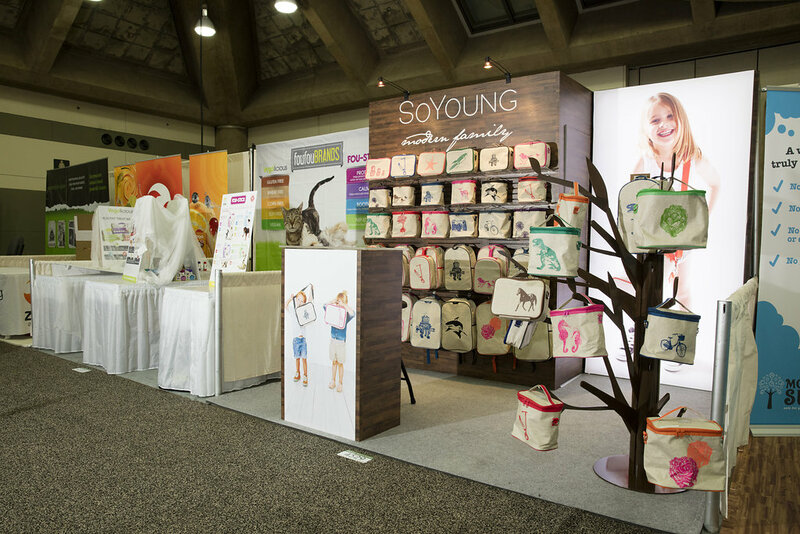 Exhibitor Magazine made the announcement of all of the award winners on March 1st, starting with the SoYoung booth. Many thanks to Classic Exhibits and Katina for creating a beautiful, creative and functional design, and of course to SoYoung for reaching out to us for the project. 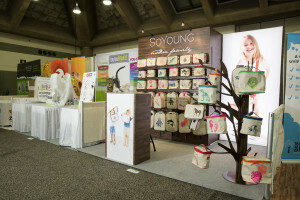 Check out our gallery of the SoYoung booth here. People’s Choice Awards: Vote Today and Again Tomorrow! 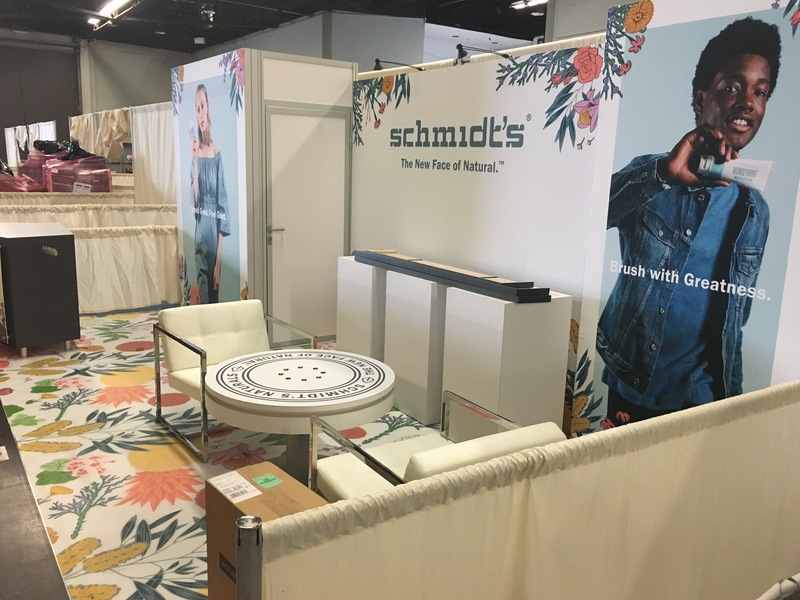 One of our recent booth projects over the summer was a custom portable modular booth for the Toronto-based company SoYoung. The project turned out so great and people loved the look, that the design and fabrication team at Classic Exhibits thought it should be entered in the Exhibitor Portable/Modular, which recognizes design excellence. So it was. And it made the finals round where you, the public, get to vote! Classic Exhibits also had two other projects make it to the finals round: Philadelphia Commercial and Nationwide. The rules for the voting are simple: you can vote only once a day, but you can vote every day. To vote, simply go here. To learn more about the awards, check this page. Thanks to SoYoung for letting us design and fabricate their exhibit, and for letting us enter it in the design excellence contest. And to see a full gallery of photos of the SoYoung booth, check it out here.